What transpired in India’s biggest Banking scam was nothing short of a well-planned and executed heist by masterminds Nirav Modi and Mehul Choksi, founders of Firestar Diamond and Gitanjali Gems respectively. Simply by bribing few PNB bank officials they were able to obtain Letters of Credit WITHOUT any deposit of collateral guarantee. These letters empower the companies to get buyer credit from foreign banks in foreign currency. The bank officials then sent instructions over the SWIFT (Society for Worldwide Interbank Financial Telecommunication) network, trusted by all the banks of the world. Unfortunately, PNB’s core banking system was not integrated with SWIFT for several years due to a system upgrade process. Hence the management was not aware of the scam that was taking place right under their nose. Currently everyone is busy blaming each other and nobody seems to be talking about what precisely needs to be done. This is very important because the scam clearly showed that supervisory process in Public Sector banks did not live up to detect the fraud and hence needs to be improved at all costs. Moreover, the frequency of such scams is increasing especially in public sector banks. According to a RBI report, state run banks have reported as many as 8,670 “loan fraud” cases totaling Rs61,260 crore over the last five financial years up to March 31st, 2017. So can Blockchain save the day? 1. 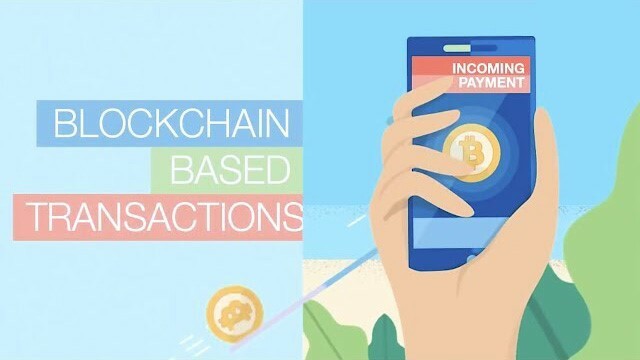 All banking transactions should be recorded in Blockchain. Blockchain essentially being a distributed ledger makes all transactions transparent. Since no single party owns the transaction there is no single point of failure also. By storing data across nodes, Blockchain eliminates the risks that come with data being held centrally. 2. Transaction reconciliation systems in Banking at present do not result in immediate notification. Using Blockchain, all parties on the chain will be immediately notified about a transaction. 3. Whenever a person or company applies for a high value loan, things such as land deed, assets and letters of undertaking need to be verified. In Blockchain, there are smart contracts which will not get executed unless all the involved nodes agree. No single entity will have the authority to verify without a consensus from other parties. 5. Banks should be made to conduct mandatory audits monthly so that exceptions can be tracked every day. This can be made possible through a Blockchain based reporting system. As soon as an exception occurs it can be detected, and all nodes would be notified. Accordingly, measures can be taken to counter the situation. It is time that industries, especially banking, start warming up to using technologies like Blockchain. It is an ideal technology which ensures proof of integrity to the data and reduce incidents of tamper.